Whoever is running the Sarychev Power Expo has created the most sadist combat sport yet. 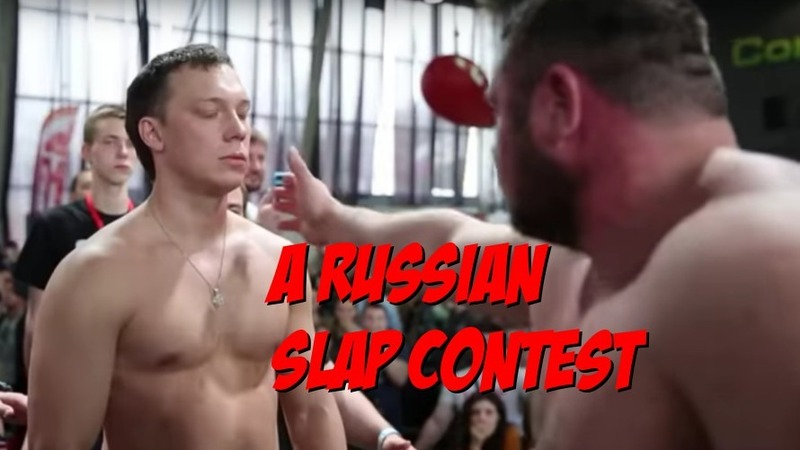 Russian Slapping Championship begins innocently enough, but quickly graduates to the most unsettling thing you could watch. The tragedy of 2nd place at a Russian Slapping contest is beyond heartbreaking. The pulverized side of his face, beet red after being tenderized by the most Russian looking man, easily outweighing him by 40 pounds. That image will stay with me forever. Watching the champion’s hand being raised, you realize how inevitable this all was. The Slap King just looks like someone who won a slapping contest. You seem a neck that thick and it’s something you subconsciously assume. Forget what’s happening in the Ukraine, let’s watch some Tron MMA from Russia!